Take your hot tub experience to the next level with the latest and hottest hot tub accessories! Sure, you may think that you really don’t need anything extra, until you start relaxing in your hot tub and remember that your glass of water is across the deck … which means an extra trip outside of the inviting water of your hot tub. Or you want to know what the temperature of your hot tub water is, but you don’t want to go out into the rain. 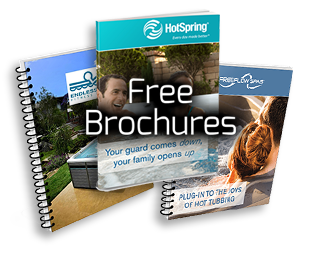 Hot tub accessories make your life easier and hot tub ownership more convenient. Ready to learn more? “Honey, can you help me get the cover off the hot tub?” This may be something you hear or say every time you decide to take a dip. Let’s just be honest, hot tub covers are just not that easy to maneuver with one person. But when you have the latest in cover lifts, like the Hot Spring line of Lifters, that all changes. Hot Spring Lifters make moving your hot tub cover a breeze for just one person! Now that your hot tub cover is easy to move, its time to climb in and enjoy the bubbling oasis that’s calling your name. What are you waiting for? Oh, wait … the hot tub is tall and it can be cumbersome to inch your way over the side. Steps make it all so much easier. But don’t just settle for just any type of steps! The Hybrid Storage Step by A&B Accessories not only has side rails but can also double as extra storage space! If you ever feel like you need an extra hand or two when it comes to maintaining your Hot Springs hot tub, then you’re going to love the Hot Spring® Connextion™Remote Monitoring System! The Remote Monitoring System enables you to set the temperature in your hot tub without having to move off the couch! Relaxing in your hot tub and watching your favorite television show may sound too good to be true. Hot Spring® Spas 22” HD Wireless Monitor is just what you need! 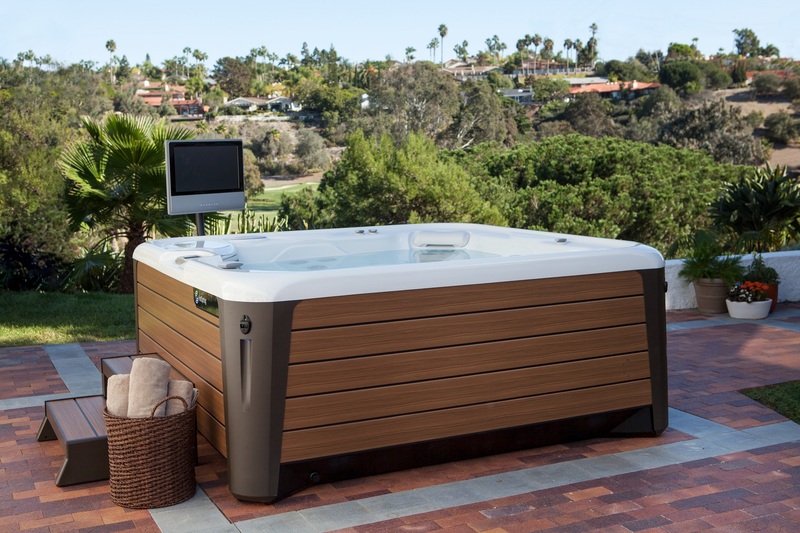 The Hot Spring® Spas 22” HD Wireless Monitor comes with a monitor pedestal that slides under the base of your hot tub to make viewing comfortable and convenient. For a full list of accessories, click here.